It is not always feasible to have both X86 and ARM based core processors been designed in a mobile device due to higher BOM (Bill of Material) as well as design complexity. However, Miutech, a Korean based ODM (Original Design Manufacturer) has able to work in this direction to develop a new HDPC (Hybrid dual portable PC) utilizing a famous Intel Atom Z510 processor clocking at 1.1GHZ together with an ARM based processor, featuring an extremely powerful mobile devices while able to keep its operating power reasonable low. The next generation HDPC is capable of operating in two modes. When it is intended to be use as a mobile phone (with a case closed up), the mobile device will be powered by ARM processor running with Windows CE to conserve battery life. On the other hand, it can be used as a UMPC by unfolding the cover whereby the processing will be handled by more powerful Intel Atom processor for navigation, multimedia playback, web browsing and etc. 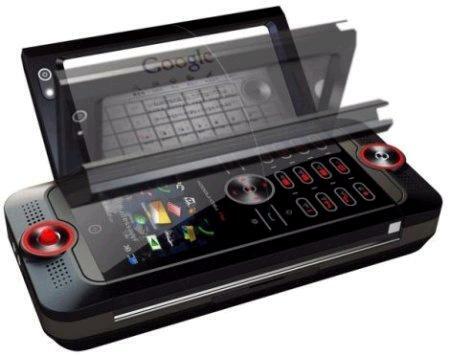 Some of the initial specifications include optional DMB TV receiver, GSM or CDMA wireless module, 5-megapixel web camera, 30GB mass storage devices, QWERTY keyboard as well as 4-inches 800 X 480 resolution touch screen with dual independent display support. This is not the first time to design both X86 and ARM processors in HDPC market and if you recall, HTC had introduced its Shift, an UMPC based on two independent processors featuring Intel Stealey A110 Pentium M core based processor together with a Qualcomm MSM7200 ARM11 based core since last year. No pricing and availability information yet, but Miutech emphasizes that the HDPC will be preloaded with both Windows XP and Windows CE and will be available for consumer market in short future.